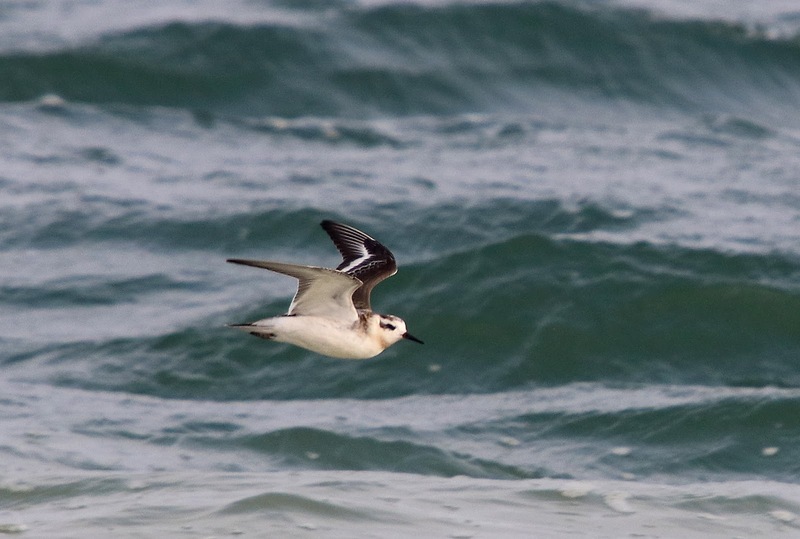 Another breezy day with most of the interest offshore. Coverage for most of the day produced ten Balearic Shearwaters, a Sooty Shearwater, 21 Arctic Skuas, two Mediterranean Gulls, a remarkable total of 2243 Sandwich Terns, two Arctic Terns, 102 Common Terns and a Black Tern. 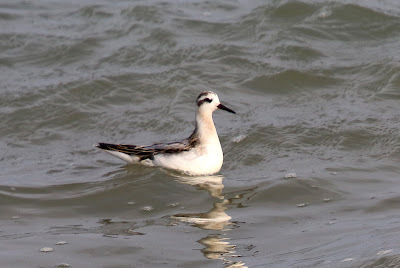 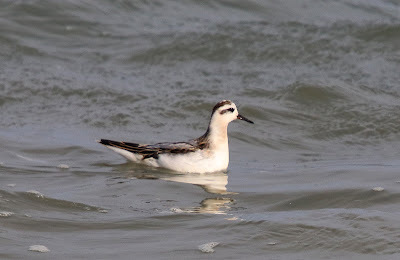 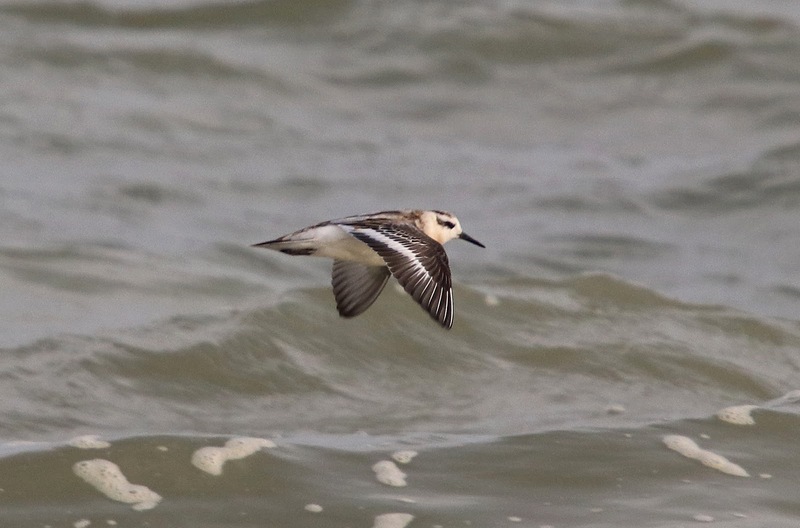 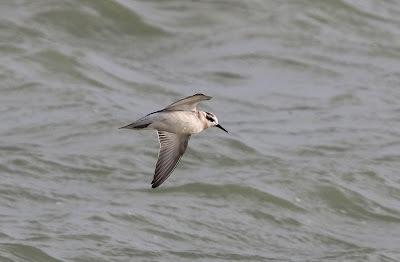 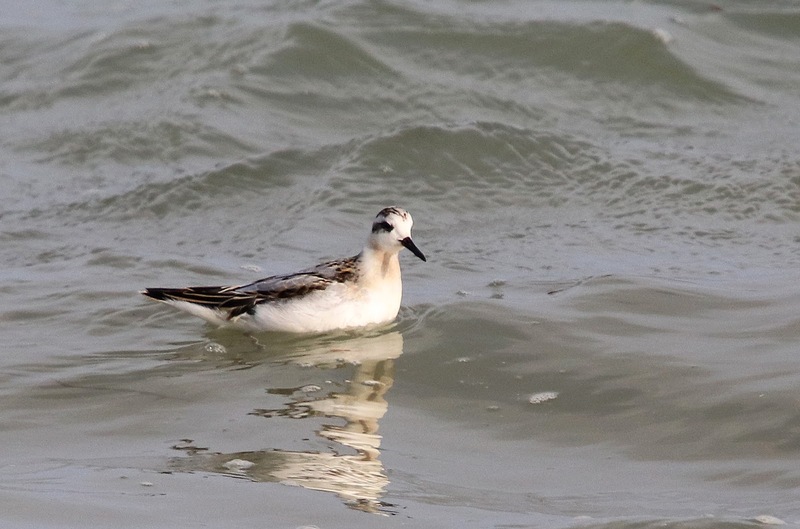 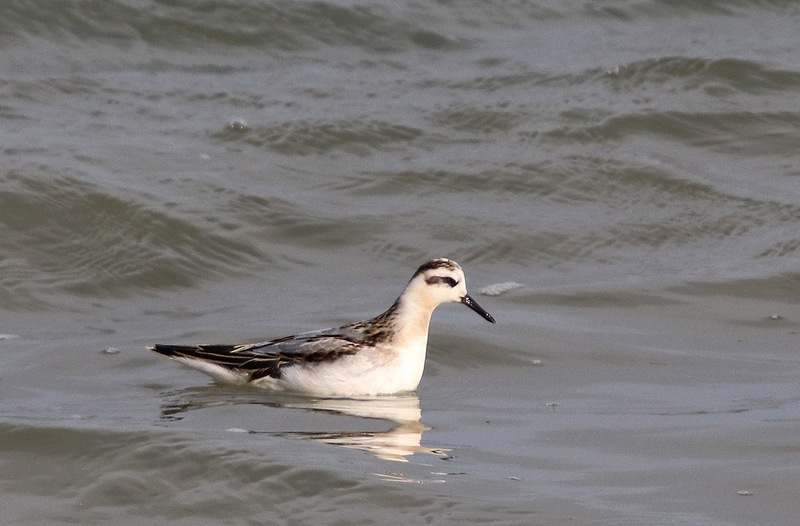 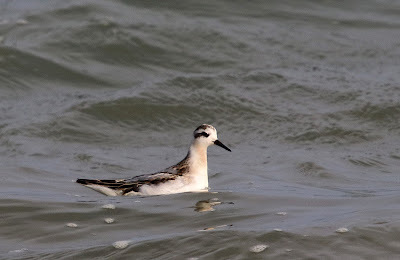 The best of the bunch arrived late in the afternoon though when a Grey Phalarope came in and landed on the sea at the fishing boats and then proceeded to feed just offshore. Swallows continued to move south with at least 1000 passing through and a Redstart was also seen but the land was generally quiet. 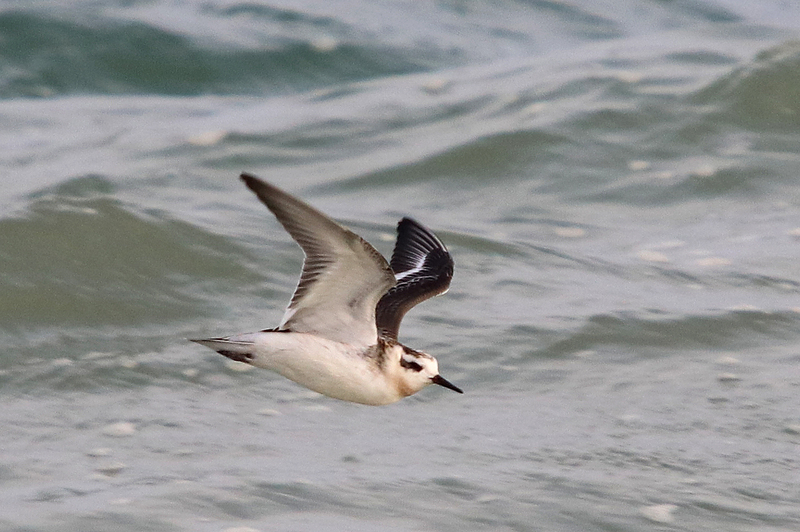 A Delicate moth was found in the kitchen this morning.